On the 10th anniversary of the September 11 attacks a memorial service was held by members of New Haven's Police, Fire, and EMS personnel yesterday at The New Haven/Berger Firehouse to honor the men and women who died sacrificing their lives in order to save others. JEFFERSON CITY, Mo. -- The Missouri Senate has given first round approval to legislation that would allow school districts to set their own policies when it comes to teacher communication with students through social media websites. St. John’s Lutheran Church in Beaufort is hosting the 2011 Franklin County Farm Toy Show on September 17 from 9:00 a.m. – 5:00 p.m.
Attendees will enjoy toy tractors, full size tractors, a fancy stand, food, and more. There will be 32 tables of collectibles for sale and on display of farm toys, banks, trucks, and parts suppliers in the church dining hall. JEFFERSON CITY, Mo. -- Gene Danekas, director of the USDA’s Missouri Agricultural Statistics office, says corn yields will be under levels predicted on August 1. This past Saturday family and friends of the late Vietnam Veteran Allen Hale held the Fourth Annual Clay Bird Shoot Benefit at the Stony Hill Gun Club. The money raised goes towards the Allen Hale Memorial Scholarship Fund that was established after Hale’s death in February of 2007. The New Haven Park Board recently adding a little Shamrock touch to Lions ball field located in the city park. The ball field is home to the Lady Shamrocks. 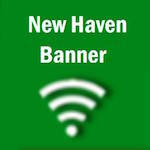 There are also two signs with the letter "NHLL" to represent the New Haven Little League who use the field during the summer as well as the mens slow pitch league, "NHMSP.